Woops, I let this get away with me! In the past I’ve tried to write my book updates monthly, but then I started writing them only when I had “enough” books to write about, ie. when life had got in the way and I hadn’t read very much recently to make up a decent post. This time though, I felt like I hadn’t read enough then all of a sudden finished several books in one go! It helped that I had a trip to London (plenty of train hours to read) plus I managed to get my bookshelves in my bedroom and stacked up a chunk of my books that were left behind at the parents or in storage. I’ll try to make these ones snappy, but you know I get carried away sometimes. Rachel Jenner and her son Ben are walking in the woods one afternoon. She turns her back, lets him run ahead for just a moment, as most parents would, and suddenly he’s gone. Already struggling to cope after her recent split from her husband, Rachel’s facing a nightmare situation that only gets worse once the general public starts to turn on her after a less than ideal press conference. The story is told a year on from his disappearance from both her perspective and the DI working on the case, showing a great perspective from both sides. With her sister backing her up on the fact that the first 24 to 48 hours are the most important and suspicions awry everywhere, it’s a race against time to find out what has really happened to Ben. I actually had this down as 5 stars on Goodreads, but when I went to write about it just now, couldn’t quite recall the story, so I’ve (sadly!) knocked it down to 4 – I must have enjoyed it a lot at the time, but it hasn’t made a lasting impression on me, then I’m afraid it can’t deserve 5! Unfortunately around this time I read a few fairly poor books, so I guess this one was better than the other recent ones to have made me enjoy it at the time but not remember it well afterwards. 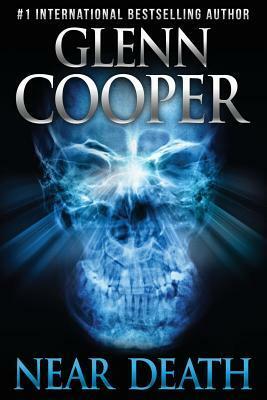 Nevertheless, it was a good, fairly quick read with a thrilling storyline, a few good twists and a pretty good ending. This is another that I initially gave 5 stars to and have just knocked down to 4 as it was very good, but not amazing – I’m currently trying only to reserve my Goodreads 5 stars for the BEST books I read, as I give them away too easily otherwise! 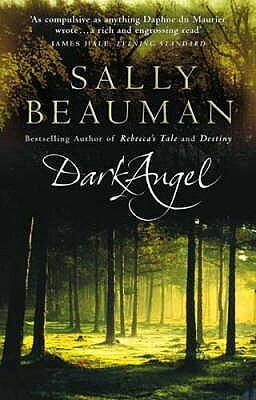 Nevertheless, I sped through this book as it was a fast moving plot, easy to read and definitely interesting. The book opens with quite a bang – as people gather together, regardless of beliefs, as the countdown on humanity reaches zero. The story then backtracks, showing us Alex, a child who describes a near death experience, a moment of complete ecstasy as his life is on the brink, who is then pulled back again. His goal then becomes finding how he can experience this again and bring it to others using whatever means possible, determined to show to others the existence of the afterlife. On the other side of the story, we follow Detective Cyrus O’Malley trying to figure out a string of similar, strange murders, although his time is torn between his work and being there for his young daughter with a brain tumour. I really enjoyed reading this one and got through it quickly. For a thriller with a few good twists and turns, plus an interesting view on the afterlife, this is your book. Okay, so here’s a book that has 5 stars and 100% deserves them – this has got to be the best book I’ve read recently. It wasn’t technically part of our book club, but Charley recommended it and now I’m forcing it on the rest of book club, it was that good. Unfortunately, it’s not terribly easy to describe! The plot is loosely based around a death at Winterscombe, a sprawling estate on the night of Halley’s comet passing in 1910, but doesn’t focus on this as a traditional murder mystery would. Instead we follow the course of the life of an intriguing character: Constance. She is one of the most confusing, contrasting and occasionally disgusting characters I’ve come across but is so fascinating. While I normally don’t particularly like books that don’t have a proper “storyline” like this one, I LOVED this. Like I said, it’s so difficult to describe if you haven’t read it, but believe me, this is a really good read. It’s quite long and has a sprawling narrative, like the estate it focuses around, but is worth the read. A word of warning, the first 5% or so don’t seem particularly interesting (being told from a fairly flat character’s point of view), but it slowly evolves into an addictive read. The beauty of it is that things tie together neatly throughout the tale, so that things that were seemingly unimportant previously, characters you ignored, become some of the most important details and people. Honestly, just read it, do it. 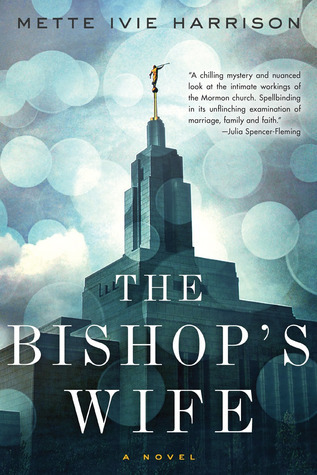 I chose this book on NetGalley because of the fact that it is a tale told by the wife of Mormon bishop. I’ve previously read a non fiction novel of a girl who became an unwilling Mormon wife (can’t remember the name of it! ), so I thought it would be interesting to see it from the side of a more devout Mormon – to see the positive side of it, I guess! 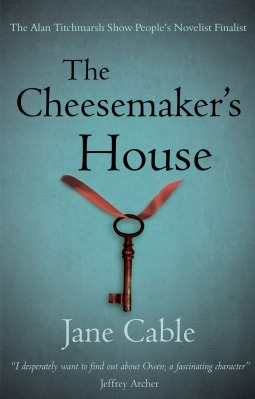 The plot was a little loose – a woman from their area has disappeared, leaving behind a husband and young daughter – he claims she left of her own accord because she wanted to leave him, but Linda, the bishop’s wife, suspects there’s more to it than that. What was most interesting to me was that since this was written by a practicing Mormon, you got an insight into how the religion works on a daily basis rather than the rumours you always hear about it. So while it was a fairly good read and quick to get through, it wasn’t the best book I’ve read recently. 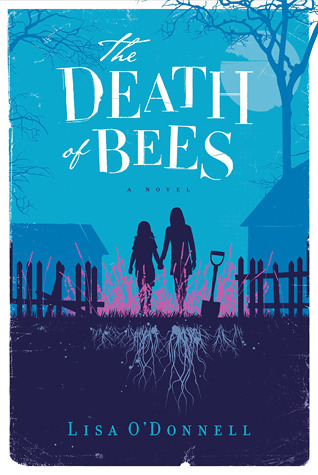 I wanted to love this book so much because the storyline sounded like something I would like plus it’s written by someone the same age as the protagonist: 15 (at least on publication, she was 13 during the first draft). With a segregation in the world between “Gifted” and “Ashkind” people, it’s a completely different place to what we know know. Rose Ashworth has grown up with this world, but she also has her own secret to hide too. 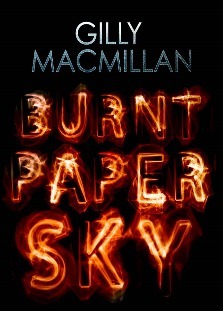 As she comes of age into the new world on the brink of a war and a father in the Department, her world is threatened. The story was good but didn’t manage to keep me completely gripped. I ended up taking a break from it while we moved house and didn’t return to it for some time, but I eventually did as I never like to leave a book unfinished! It wasn’t that it was bad, and I was interested to know what happened, but it just didn’t always hold my attention. I’d bought this book a while back as a “real book” for once and finally managed to get it out of its box and onto the shelves I’d bought, so it finally got a read. Told from two perspectives, sisters Marnie and Nelly, after the deaths of both their parents, this was a fascinating read. Why? Because they buried their parents in the back garden and continued with life as if nothing were any different. It’s only a year before Marnie can legally look after her sister, and with the parents barely around before their deaths anyway, they think they can make it to that so long as they’re not taken into social care. Their neighbour Lennie soon notices something is up and takes them under his wing, protecting them as they look after him. Even so, the dark secrets they’re hiding still threaten to surface. Despite its really quite frightening premise, being told from the girls’ point of views gives the book a lighthearted approach and is really interesting. Nelly is anything but normal, and Marnie is a typical rebelling teenager who even so cares immeasurably for her little sister. It really opens your eyes to a different way of life to what I’m used to, and it was a good read overall. I can’t remember exactly why I chose this book in the first place, but when I picked it up and realised a few pages in that it was set very close to my home in North Yorkshire, I was so pleased and carried on reading waiting for more! The summary of the book held promises of a supernatural element, but it did take a little while for this part of the book to kick in properly. Alice Hart has moved from Reading to a small village in rural North Yorkshire following her divorce. Determined to make her new life better, she dives headfirst into village life and soon crosses paths with Owen Maltby. Unfortunately the majority of the beginning and middle of the book focused a little too closely on the relationship between these two so was a bit too “chick lit” for my taste, although I did like reading about my local area. Once the story got started though, it was good, but still not quite exciting enough for me, maybe just a little flat. Not a bad read overall, and if you continue this post, you’ll find that I’ve read another of her books recently so I must have liked it enough! 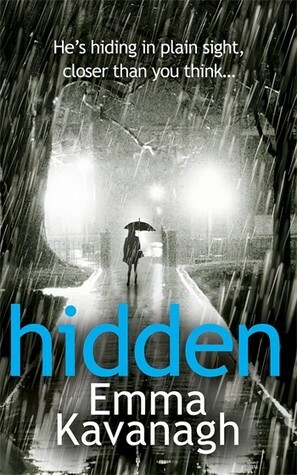 This is another book that I so badly wanted to love – it had the style of story that I usually like, some excellent reviews on Goodreads, and the blurb described it as: “A gripping psychological thriller by a former police psychologist. Perfect for fans of Nicci French, Tana French and S. J. Watson.”. Unfortunately though, it wasn’t meant to be for me! I found it really difficult to get into the story and ended up skimming through it quickly just so I could say I’d finished it and to find out what had happened, although I wasn’t really that bothered by it. It follows various points of view of a gunman stalking the wards of a hospital, including those of two sisters, one of whom works there as a psychologist, the other whose daughter is an inpatient in the hospital. The book starts with a bang: when the gunman fires and there is carnage around the hospital. It then backtracks and follows the events leading up to it. Maybe it was this layout that ruined it for me, with the climax being the first thing then building the story back up to it. Unfortunately, I just didn’t connect with it, which was really sad as I so badly wanted to! I’m not even going to bother reviewing this one, because, really?! 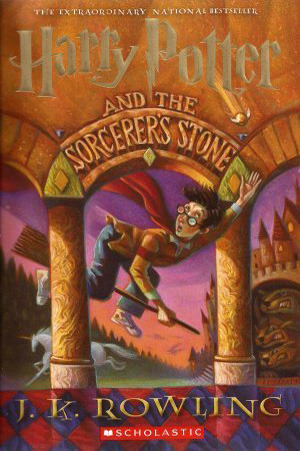 I just felt like I was long overdue a Harry Potter reread, so I’m reading the series again alongside my other books, so these will be popping up every so often in these posts at the moment. As I said, I decided to read another Jane Cable book shortly after the first, so I must have enjoyed it enough! 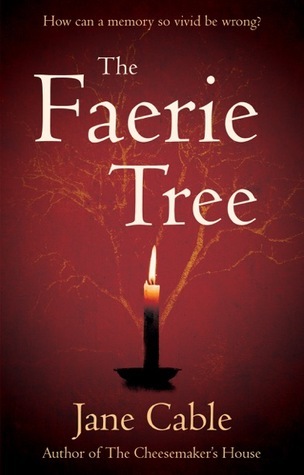 The summary of the book seems to focus on a forgotten or misremembered memory of two people, Izzie and Robin who meet under the Faerie tree in 1986 then are torn apart by tragedy then fall back upon each other 20 years later, but their memories of their previous time together are apparently different. In reality, not much of the book focused on this. I saw it more as a story that jumped back in time, showing the evolution of their relationship, how it fell apart and an interesting tale of a man who finds it difficult to put down roots and struggles with depression, and a woman getting over the grief of her husband with her teenage daughter finding she can love again. The different memories thing actually seemed to me to come in late in the book (although there are hints of it throughout the whole thing), so it was more a coming of age story, but in middle age. It had those magical elements I wanted and a lovely insight into how the coincidences in life can work. Overall, a pretty good read and one I’d recommend for something light and easy to read. I love reading book reviews it helps me extend my ever growing to be read list!